Intro: What is Beauty Sleep? Does this term sound like a marketing ad to you for some skincare product? Or, does it simply refer to sleep itself? Fact: A proper amount of good, restful sleep is essential for not only beauty but, true health. We have all seen various articles over recent years, commenting on how important sleep is for virtually every area of our body. However, people miss out on the fact that sleep is an important part of the beauty routine. The reason for this is two-fold. First, your skin works on repairing and regenerating itself during sleep. Second, both your mood and your overall physical appearance are affected by how tired you are and how much sleep you got e.g. puffy eyes, dark bags, etc.This affects not only how people are seeing you in a physical aspect but, more importantly, whether they are getting to see the vibrant, happy and more relaxed you which is much more attractive than stressed or glum. Below is a list of 4 methods for improving your sleep-and they are both portable and affordable. We should all love our bodies and give it a little extra pampering now and then. What better way than with a little self-love massage and caresses. You can start off by using a dry brush in circular motions starting from your toes and going up the legs and up the rest of the body, avoiding delicate areas like the décolleté and neck though. Dry brush helps the lymphatic system and is also a form of gentle exfoliation. Continuing with the theme of using mats to improve your sleep quality, the Spoonk mat makes use of acupressure points to ease back pain, muscle tension, and improve blood circulation. This is due to the 6,200 small stimulation points that the mat contains. The amount of pressure you feel can be adjusted by placing it on a softer surface, like a bed, or a harder surface, like the floor. You can also start off with wearing thin clothing to use the mat, and then try it out with bare skin once you’ve become used to using it regularly. The Spoonk mat is an easy and simple addition to your bedtime routine. Simply place the mat on the bed, lie down, adjust it to your liking, and read a book or listen to soothing music while reaping the relaxing benefits of acupressure at home. Essential oils have many uses from wound healing, to headache relief, easing muscle pain and eliminating odors. However, essential oils can also be an amazing addition to your pre-bed routine due to their relaxation potential-both in topical and airborne use. Dilute a calming or grounding essential oil like lavender, cedar wood, or vetiver with a quality carrier oil and apply to the soles of your feet. Be sure to hold your hands up to your nose and deeply inhale the scent of the oils to further the calming experience. Another method of embracing essential oils at bedtime is to invest in a diffuser and use a combination of oils to infuse the air in your bedroom, while you practise deep breathing exercises. Magnesium is used in many functions of the body including the heart, digestion and the structural development of bones. But perhaps the most widely known health benefit of magnesium is stress relief and sleep support. However, most of us are lacking in adequate magnesium due to soil depletion and stressful modern lifestyles. This is where supplementation through transdermal absorption comes in. Topical magnesium oil is a great way to absorb magnesium through the skin daily and promote a calmer, less stressed approach to the day. The second method kills two birds with one stone by both supplementing your body with readily available magnesium, and involving a super-relaxing, spa-like experience. The routine? A hot bath filled with magnesium salt flakes. Better yet, enhance your ritual with a few candles, soft music and a face mask. Taking the time for a magnesium bath even a few times a week is an act of self-care that helps calm your mind and allows you some precious “me time” to just unwind from the day. So the next time that you try and talk yourself out of some special self-love bath time, remember that it is both good for your health, and supports a restful night’s sleep. In our modern age, sleep often takes the backseat to whatever else we deem more important in our life at the time, including more time on Instagram or Facebook. However, we must recognize that sleep needs to take a primary place in our lives, and always focus on getting a full restful 8 hours..every..single..night. Sleep impacts not only our health but also our skin, our attitude and outlook on the day, and sometimes, even our posture-all of which affects how we look and our perceived by others. 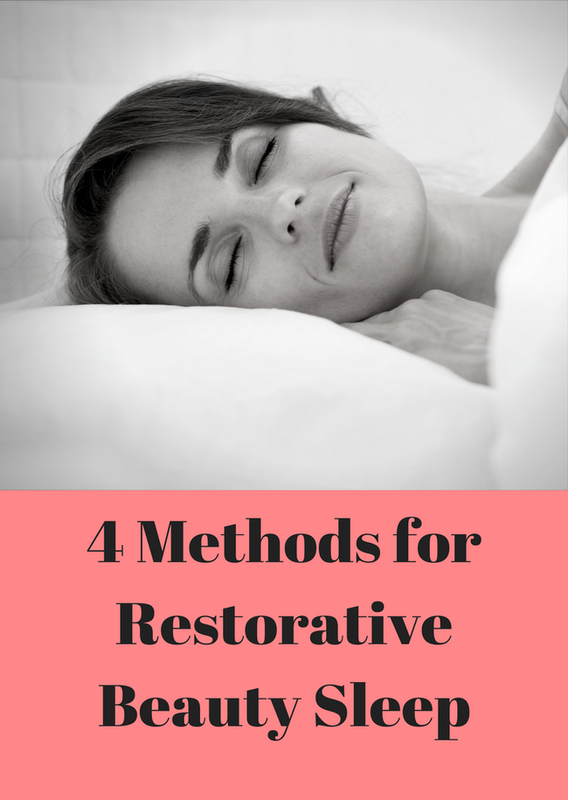 To get more quality, restorative slumber, we need to take time out of our lives to incorporate pre-bedtime routines that include methods designed to calm and relax us. This may include Self-massage, using a Spoonk mat, usage of essential oils, or a magnesium salt bath. Learning to appreciate good sleep can have a big impact on our overall health and beauty, and a pre-bedtime routine is an act of self care that benefits both our mental and emotional health.